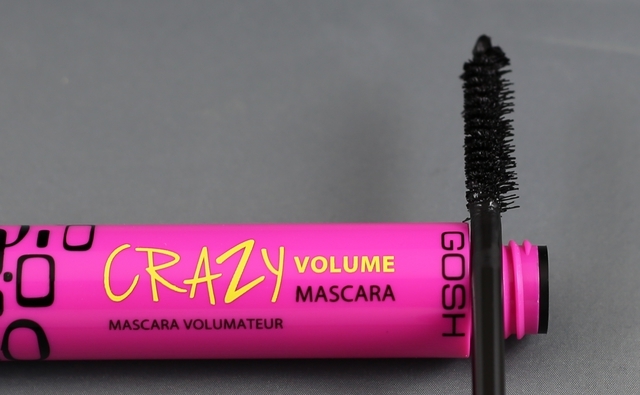 GOSH Crazy Volume Mascara - $15 - with a perfume and paraben free formula that adds dramatic volume and extreme length in one stroke. With a unique oversize fibre brush that is very different from any that I've tried before - it's really big, really straight and it's flat on one side. It offers volume, length and high definition that lasts for hours with no clumping of smudging. As you can see the finish is fringy and not clumpy - because the brush is so big and straight you have to be mindful when applying or you end up with a face full of mascara mistakes but once you get the hang of it, it does a nice job! Wow this makes such a difference! Cant believe its drugstore!! wow, love the gosh mascara.